Thanks to everyone who responded to my free stuff posts, and helped me create the pile of empty boxes! 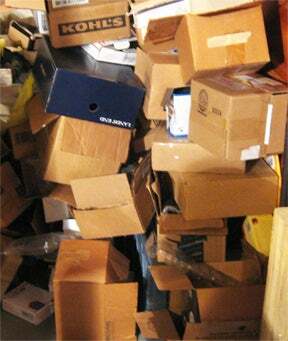 I still have more boxes that will need to join this pile. Several that I though held art supplies turned out to have more cars. I just want to point out to everyone that the weight on these “free” cars can build. I’m not trying to discourage anyone, just a friendly reminder.